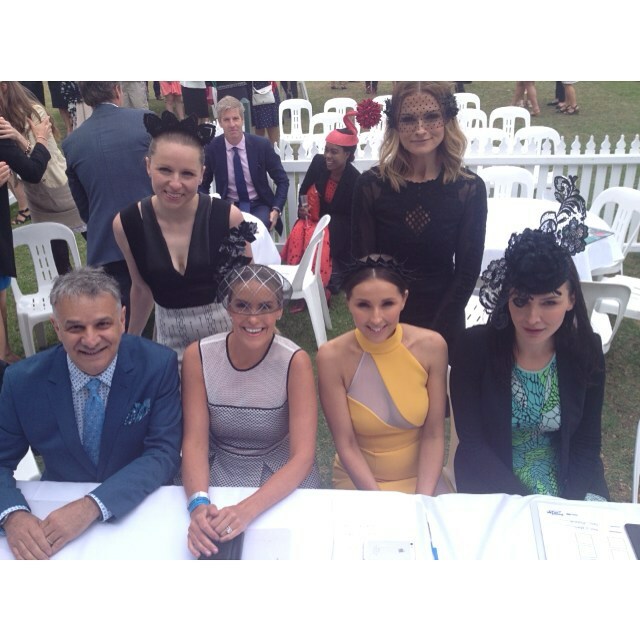 Last week I had the pleasure of judging Fashions on the Field at the Geelong Cup alongside Dom Bagnato. Not only is he a dapper gent and lovely to boot, his range of suits has any girl swooning if her man wears one. Judging alongside Dom, milliner Rebecca Share, GT Fashions Editor Renee Enright, Nina O'Brien from Track Mode and Joanne from Pret a Porter designer dress rental. 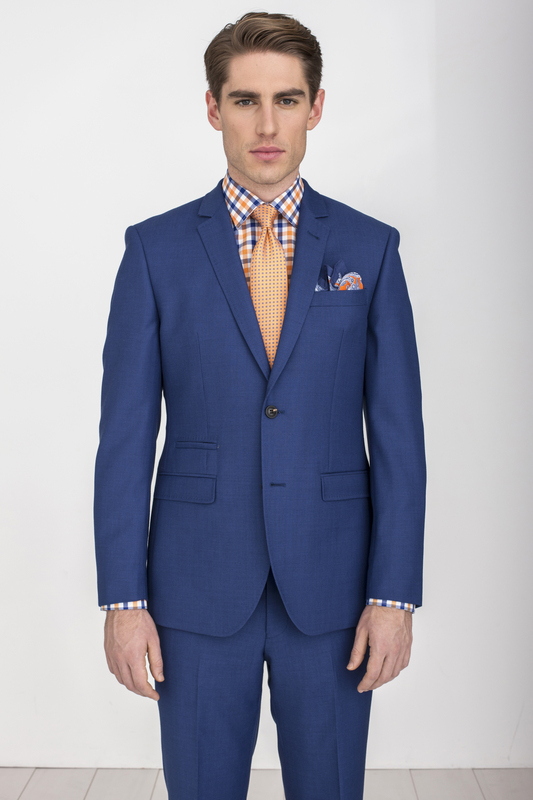 With the Spring Racing Carnival in full swing and the main days just a week away, it's a timely reminder to the gents out there that 'any old suit' from the back of the wardrobe just won't cut it at Fashions on the Field - or in the eyes of your lady friend. Dom has some suggestions for any man purchasing a suit for the 2015 carnival, and you'd be hard pressed to get advice from anyone so well educated on the matter. “You do not want to see any lines, wrinkles, pulling or bunching on your jacket or trousers, anyone of these means the suit is too big or too small. Your movement should not be restricted at all. When you try on a suit, you’re looking for a good fit in what’s called your natural stance, where your stand up straight with your arms at your side, “ says Dom. No one wants to see boring or unflattering suits at Flemington, so make sure you heed Dom's advice and take note of the little things. Your shirt and tie - the finer details! - are just as important. Dom suggests experimenting with colours and patterns, otherwise you’ll look as though you have dressed for the office and if you are opting for a printed shirt, ensure your tie is more plain and vice versa. Clashing is not always the best idea. 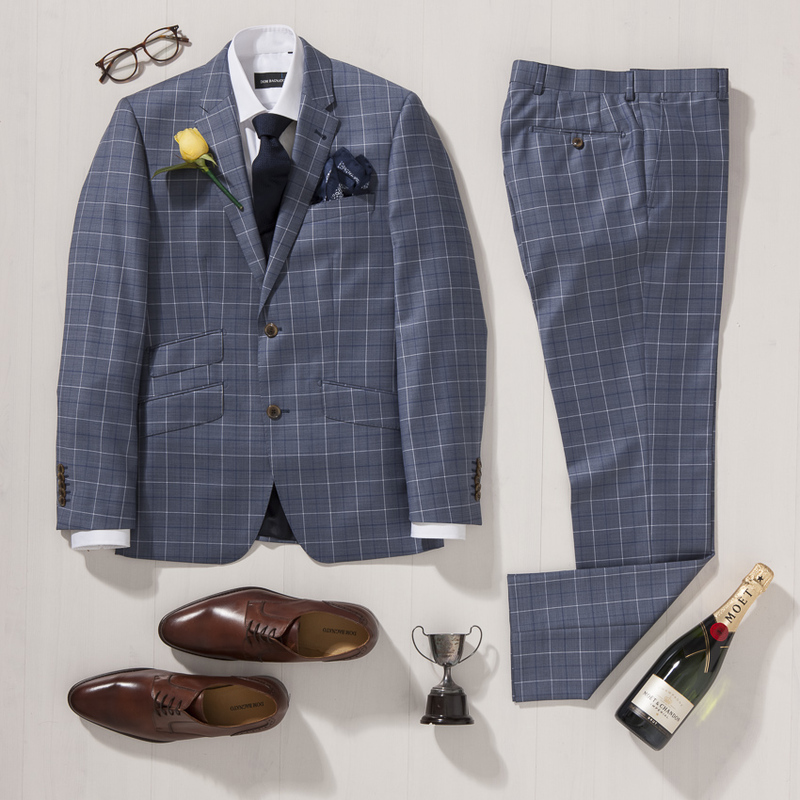 Pocket Squares should feature elements of colour from your shirt or tie and tie pins highlight an attention to detail - it will be noticed if you are vying for a the title of best dressed at the track! The season’s featured colours include a palette of beautiful blues - slate, royal, teal and navy with mint, rose and orange shirting and ties adding dynamic colour highlights. “Above all be daring,” says Dom.